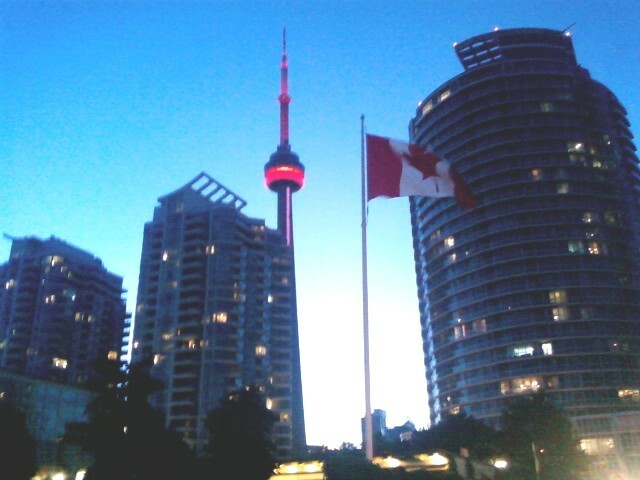 Right now, downtown Toronto is experiencing a power outage while all of Toronto is experiencing a heat-wave! I’ve been enjoying some time off since last Thursday and I go back to work on Wednesday. A belated Happy Canada Day (or Dominion Day, if you prefer) to my fellow Canadians, and a belated Happy 4th of July to my American friends! From all I can make out, the non-peaceful protesters at the Summit were as annoying and obnoxious as they usually are during these events. At least three police cruisers were set on fire, store fronts were destroyed, and the heavily fortified police presence was criticized for not doing enough on the first day of the Summit and for doing too much on the second day. I felt a little sick to think of all of this happening in my city. I wonder why the G-20 leaders don’t just video-conference OR hold their meetings out in the desert or in the Arctic circle or on a remote island – some place where thug-protesters can’t be bothered to go because there’s nothing to destroy and they won’t get so much attention. 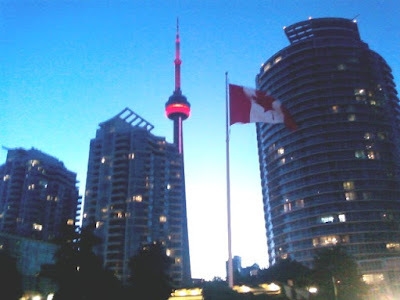 On a happier note, I’ve been enjoying my current time off right here in Toronto – watching the fireworks at Harbourfront on Canada Day, having tea with my favourite Professor, visiting an old friend for dinner, shopping in Chinatown with Mom, and spending time with Nana. I’m also planning a trip to London later this month! I’ve never been, and I’m quite excited about it - please pray for safe travel!